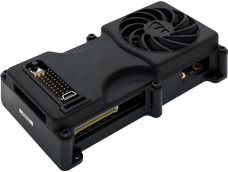 The company&apos;s first products are the BaseCam SimpleBGC controller — previously marketed under the name AlexMos SimpleBGC (BGC stands for Brushless Gimbal Controller) and Extension board for building 3-axis stabilizer systems. The controllers are used to build camera stabilizing systems for both handheld and UAV mounted cameras. Basing Gimbals on our solutions allows a wide range of cameras to be stabilized, from GoPro to Red Epic. We developed and published our first iOS App for setting and control all SimpleBGC 32bit controllers. The App supports the latest firmware of 2.6 version. Option to automatically switch to upside-down mode (both frame and camera) and auto-rotate camera when frame is rotated +-180 degrees over PITCH axis. To solve the issue you just need to download GUI of needed version from our site again. The issue is caused by new SSL certificate which we started to use. 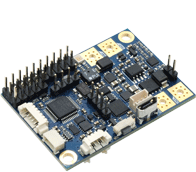 This module is intended to work as a part of the SimpleBGC camera stabilizer system, performing a motor driver function. Unlike regular scheme, where all motors and encoders are connected to the main board and driven by the single MCU, in the modular scheme each motor is driven by its own MCU, that lets to optimize cabling: encoder is integrated into the PCB for each module, and motor's cable goes to it by the shortest way. Only 5-wire cable joins modules with the main controller. 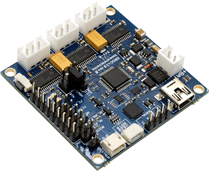 This expansion module is supported only in the encoder-enabled version of SimpleBGC firmware. Details and required files can be found here. General view of the gimbal. 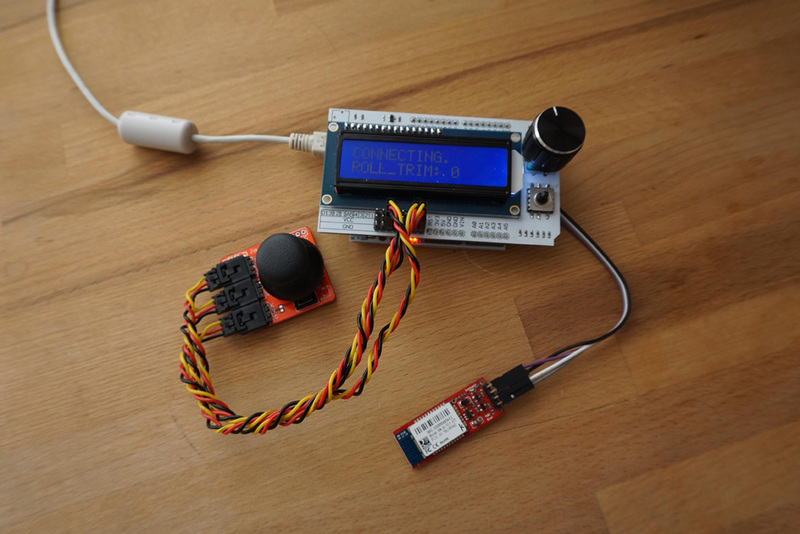 This instruction will help you to build a simple remote controller with an LCD display for controlling a gimbal. 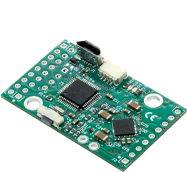 The controller can be connected to any SimpleBGC 32 bit controller through the Serial interface. 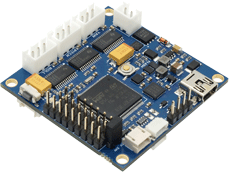 For that, you can use four-core cable, or wireless UART adapter (Bluetooth, 3DR modem, Zigbee, WiFi-UART, and so on). Needless to say that Letus Helix gimbals work on BaseCam SimpleBGC 32bit controllers. From very beginning, Hien Le, owner of Letus Corporation, with his crew devised the unusual design for the gimbal. It took some time from our team to adapt our solution to the demands of Hien. It was not for nothing. Letus Helix Jr. gimbal got the winner at NAB Show as Best Pro Video Camera Accessory. This DIY tutorial helps you build a Bluetooth motion controller for any SimpleBGC-based gimbals! 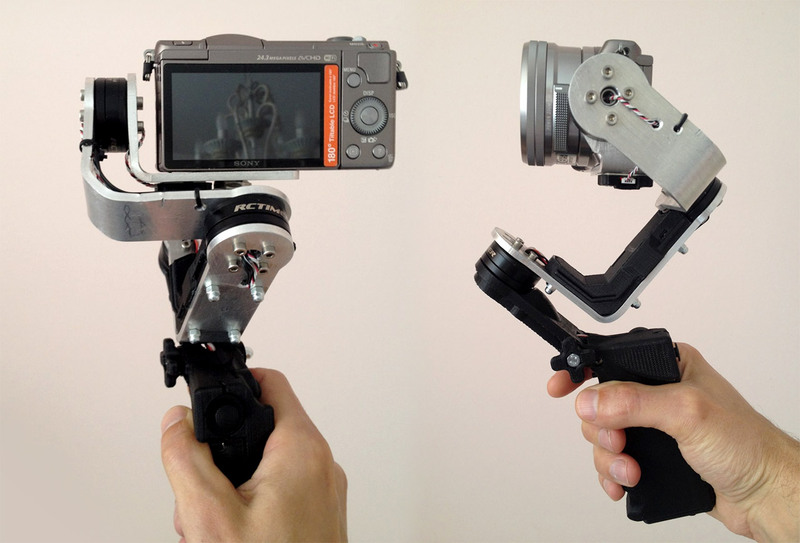 This means you can simply move the controller, and the gimbal will match its orientation. This is the second project from Mark. We thank him for the work done. Source code and details can be found here. An easy and cheap way to build remote control for your SimpleBGC controller (Thank you to Mark for that). This is a short tutorial showing how to use BaseCam filters to provide better gimbal performance. Some versions of the controllers can have a problem with the spektrum port: the satellite receiver does not get enough power from the 3.3V internal voltage regulator, resulting in unstable operation (symptoms: signal interrupts, LED blinks randomly, on binding attempt system goes to reset). Find out how to solve the issue. 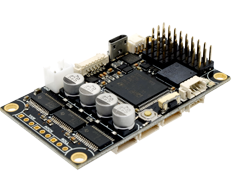 Using new features of the firmware you can design your own remote control for SimpleBGC.